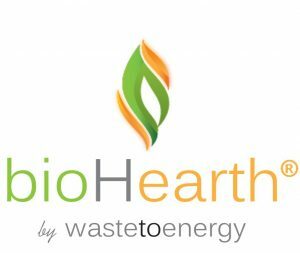 OUR CONCEPT The bioHearth® downdraft gasification system is the simple, affordable waste to energy solution. We strive to give our customers the most direct means to create revenue from their waste stream. OUR DESIGN Waste to Energy Systems’ research and development team led by CEO Richard Woods created a downdraft gasification design that embodies our concept and vision by crafting a system that is user friendly, low maintenance and straightforward. With no unnecessary gadgets, the small foot print of the system creates an affordable opportunity for energy independence. As our CEO says, “The elegance of simplicity creates a renewable energy system that is safe, efficient and highly functional”. OUR SYSTEM The bioHearth® downdraft gasification system arrives at your location complete and ready to be installed, with all necessary components already integrated and tested. After installation and testing is complete, our staff will train your employees in all the bioHearth® operations, including off-site monitoring. Our maintenance, safety and warranty information is available upon request. 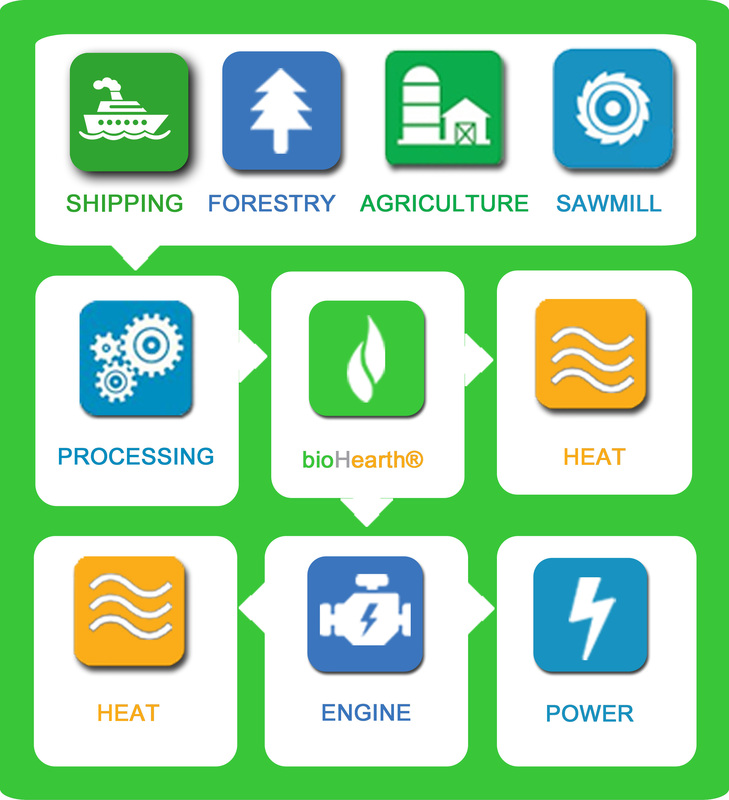 What is included in our bioHearth® downdraft gasifier system: Gasification unit, Filtration unit, Briquetter, Auger, and Automation. bioHearth®– a 200 kW downdraft gasification system that processes up to 400/lb of fuel stock per hour. 1 MW downdraft gasification system that processes up to 1 ton of fuel stock per hour.